The Devon Fish & Game distributes awards annually to recognize it's members for a job well done. Awards are presented annually at our fund-raising banquet and awards night, of which all members of the community are welcome to attend, but only members are eligible to receive awards. The President's Award is awarded by the President of the club to the member that demonstrates an extraordinary level of dedication to the club and its endeavors, to a member who puts in the time and work that it takes to ensure the club thrives. This award is given on merit and is not necessarily awarded annually. This award is presented to the member that makes a noteworthy contribution to conservation in Alberta, whether it be as part of the club, another organization, or on their own. Much like the President's award, this award is given on merit and is not required to be presented annually. 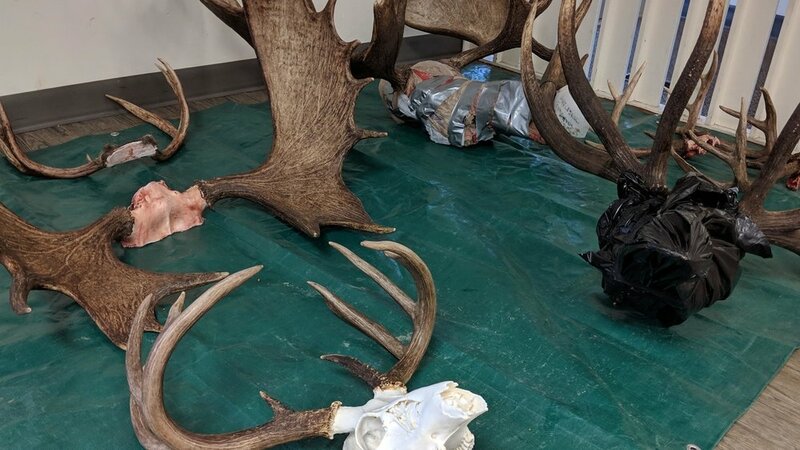 Members can submit their entries at our annual measuring night for the largest animal harvested in each species category: Typical or Non-Typical Whitetail or Mule Deer, Moose, or Black Bear. They can also submit their fish entries by taking a picture of the fish during measurement and weigh-in and submitting the picture and measurements through our contact page. The Devon Fish & Game presents an annual award for the best wildlife photo of an animal in their natural habitat. Photos must be taken by the members themselves and can be submitted through the contact page on this website along with your name and membership information.